For the 12th straight year, people doing Custom Web Publishing are getting together at the beginning of the FileMaker Developer Conference to share projects, tips & ideas. 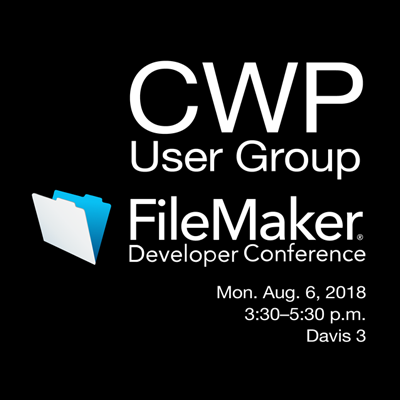 This will be a friendly, informal chance to share some of what we have been doing with FileMaker and CWP. All web-related tools and technologies are relevant. Please or tweet me @jsfmp if you have something you'd like to share or ideas to discuss. Everyone's welcome. Come join us!